Louise Hetherington tells us why it is so important to complete a placement whilst at university. Since completing my studies, I have been on a three week trip around Southeast Asia before commencing my role as a graduate structural engineer. Whilst I was on my placement year I had the opportunity to work on prestigious historic structures, such as Hampton Court Palace and the Banqueting House, completing tasks such as structural surveys, AutoCAD drawings, and calculations. Make the most of the social aspects of your first year and the sports and other societies, as the course only gets harder. Having done a gap year, I really focused on making sure I got back into studying and feel like I may have missed out on some of the more lively aspects of student life. The course at Plymouth, which I initially enrolled on, was civil and coastal engineering. Plymouth was, and still is, the only university which offers such a course. It also helped that the course was accredited and industrial opportunities were plentiful, both at placement and graduate level. My aspirations, both a decade ago and now, are to be a chartered engineer by the time I am 30. My degree at Plymouth has enabled me to get into a graduate role which supports this aspiration. The ability to study and socialise in close proximity to the sea. A trip to the Hoe always helped me to relax after a stressful day at University and very few University cities can offer everything (town, countryside, sea, and facilities) all within a short walk or bus ride. The course focused very much on the practical application; this has put me in a good position, perhaps even slightly ahead of other graduates, who have completed a course which consists of a more theoretical approach to the subject matter. Plymouth University is an up and coming university, and with regards to engineering especially its reputation has grown immensely since I started my course in 2011. Plymouth is now a university from which top multinational firms consider and select candidates for their intake of placement students and graduates, which is incredible when up against Russell Group and Oxbridge students. The placement, without a doubt, increased my graduate employment potential. 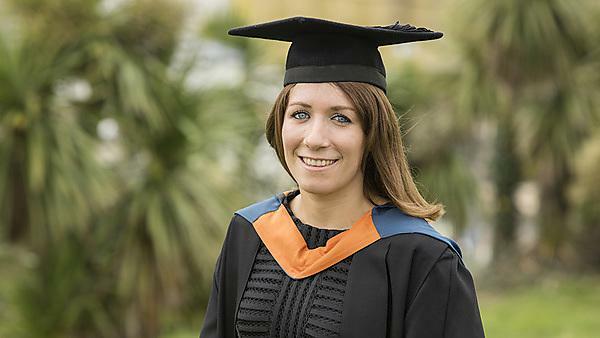 As well as increasing my ability to get the job I’ve always wanted, the placement helped to cement knowledge learnt in my first two years of the course and allowed me to have a break from the studying aspect of the degree, whilst still learning invaluable skills. I would one hundred per cent recommend a placement to anyone who has the opportunity. Doors have been opened much sooner and further by having this prior experience. For more information about MEng Civil Engineering please visit our MEng Civil Engineering course page. For more information about our range of courses within the School of Engineering please visit the school page.